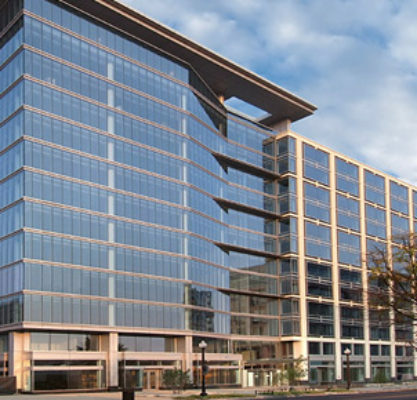 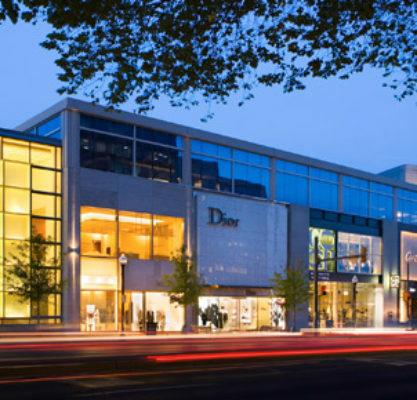 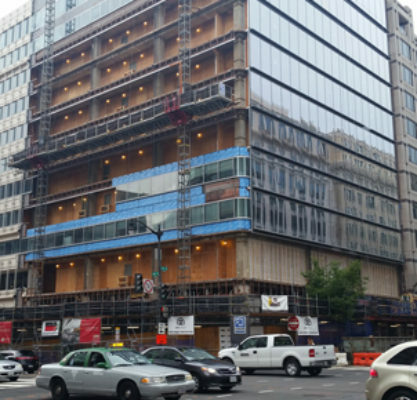 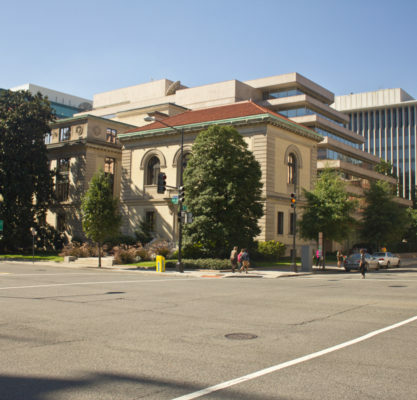 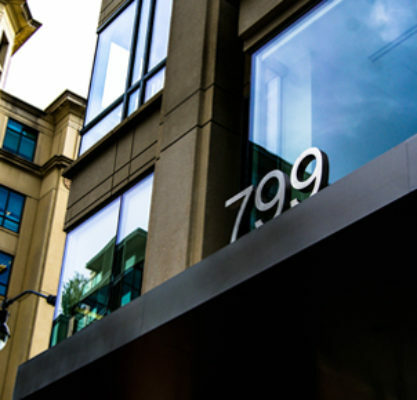 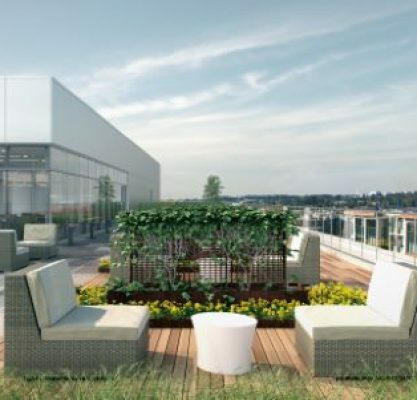 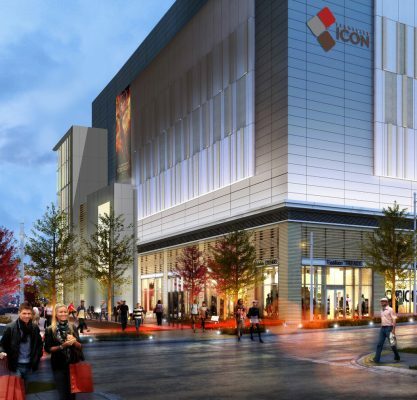 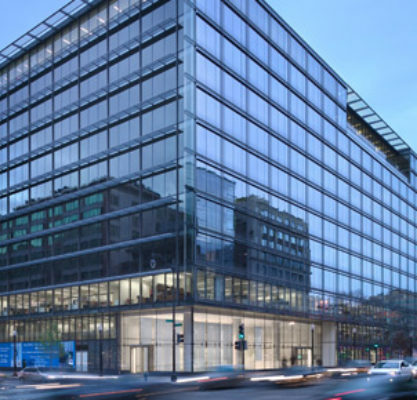 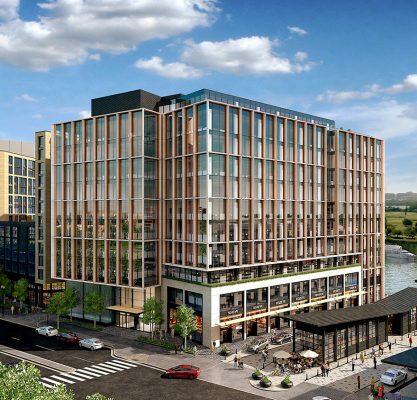 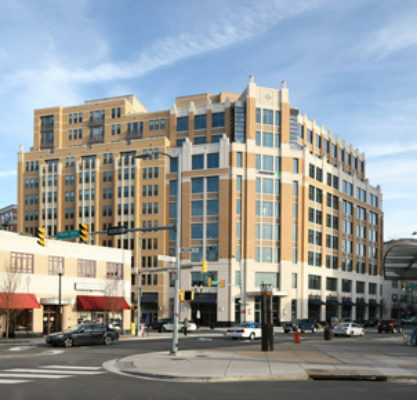 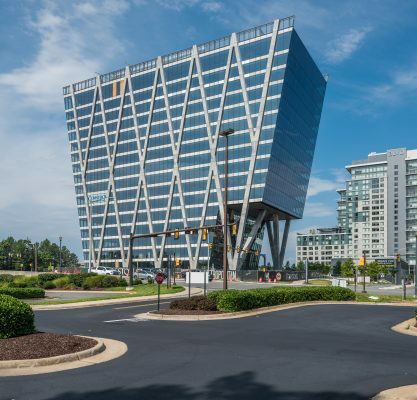 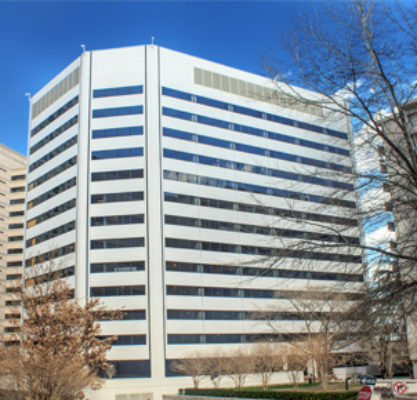 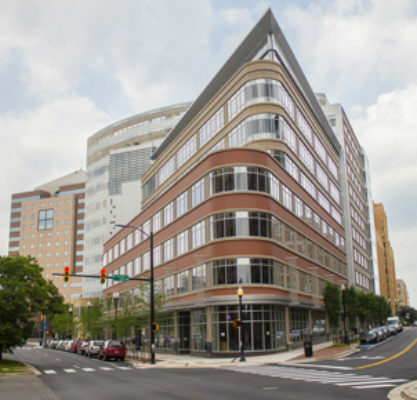 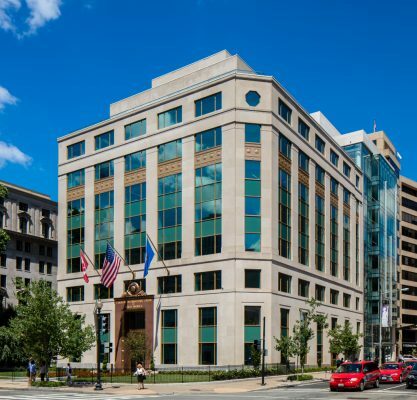 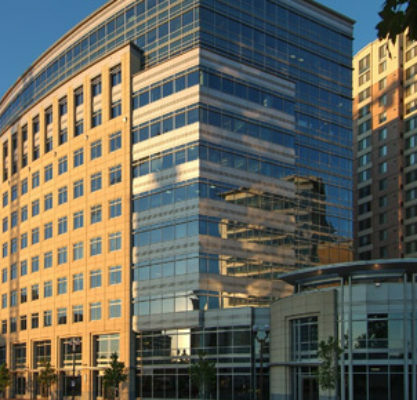 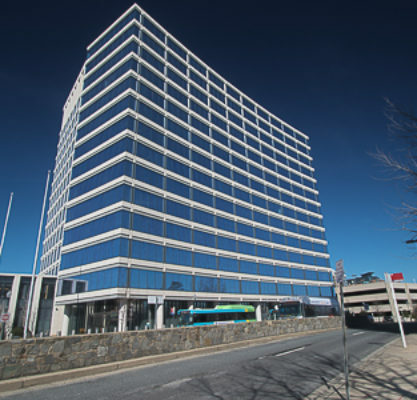 GHT Limited provided MEP engineering design services for the 1812 North Moore Street tenant amenities conference center, located in Rosslyn, VA. 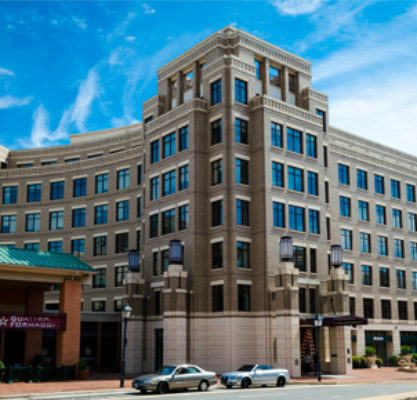 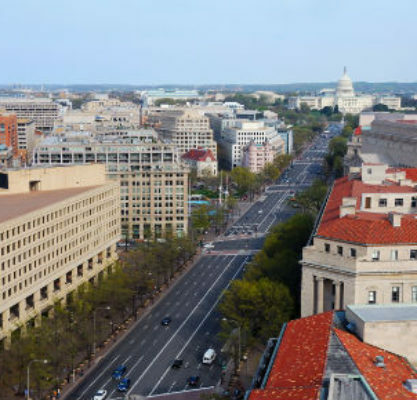 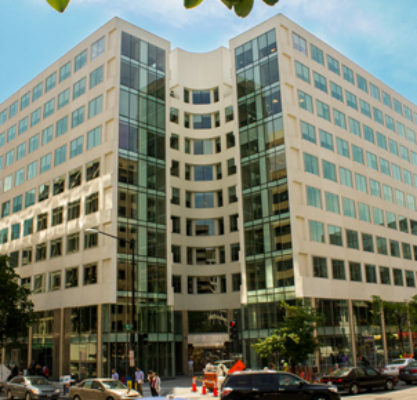 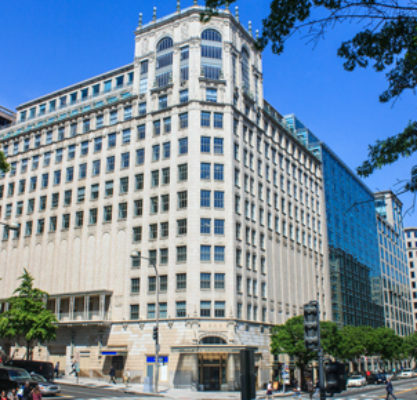 The conference center, appropriately named “Elevation 289” for the floor’s height above sea level, is located on the 24th floor of the building and provides panoramic views of Georgetown and downtown Washington, DC. 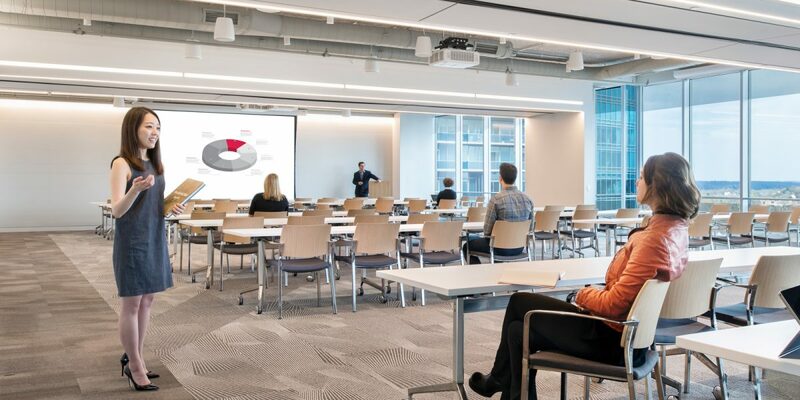 The 9,500 SF conference center space features a 3,000 SF multi-purpose room which can be separated into three spaces, individual conference rooms and break out rooms, and an open lounge with café. 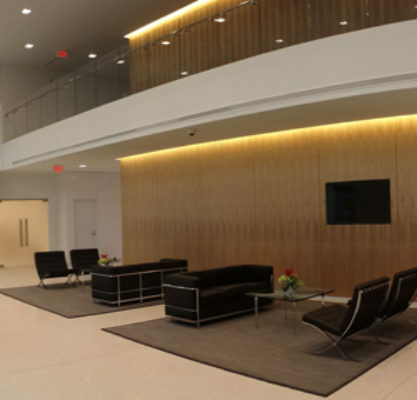 The space also features a catering pantry and restrooms dedicated for the use of the conference center. 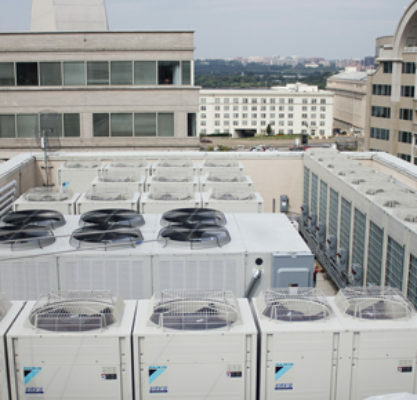 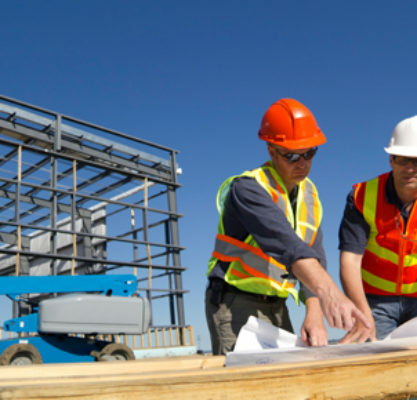 GHT extended the core and shell base building MEP systems to serve the new space. 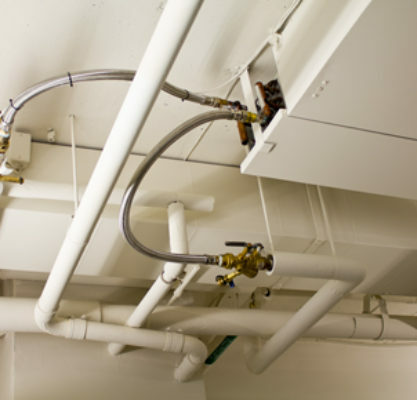 A low-temperature VAV air distribution system serves the conference center space with painted double-wall, spiral-wound oval and round ductwork in open ceiling areas. 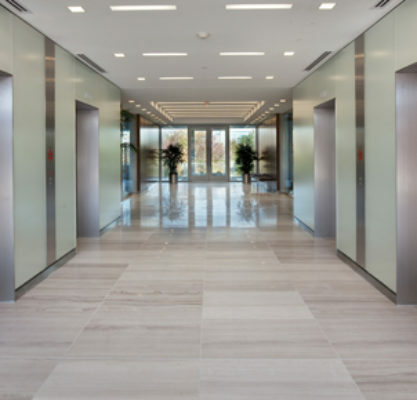 Perimeter spaces were provided with daylight controls. 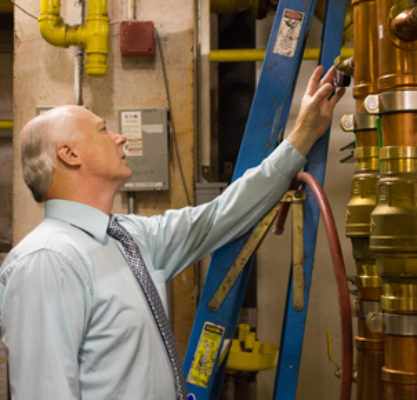 Plumbing systems were extended and new hot water heaters were provided to serve the new café, catering pantry, and restrooms. 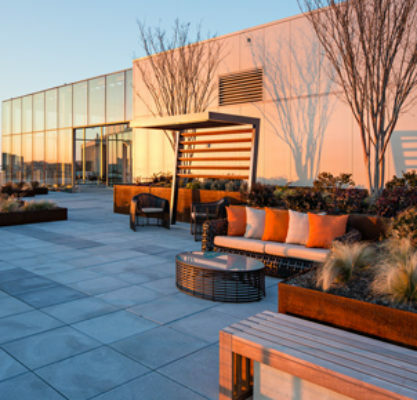 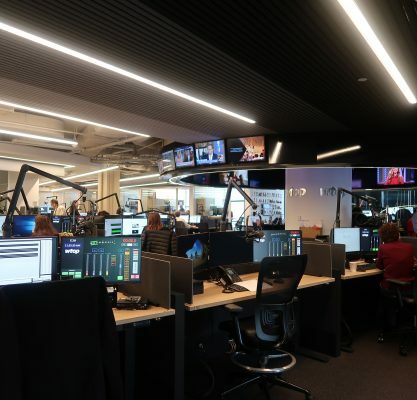 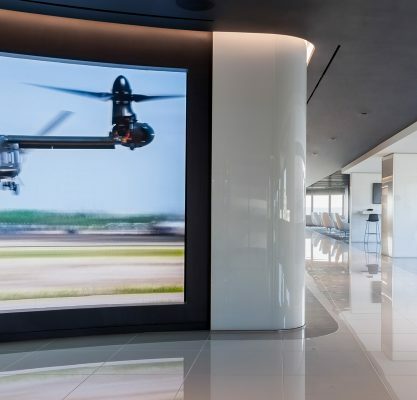 Due to open ceilings throughout most of the new space, great care was taken by the GHT team in coordination with the project architect, Gensler, to ensure the MEP services seen by the occupants would blend into the space rather than be a distraction. 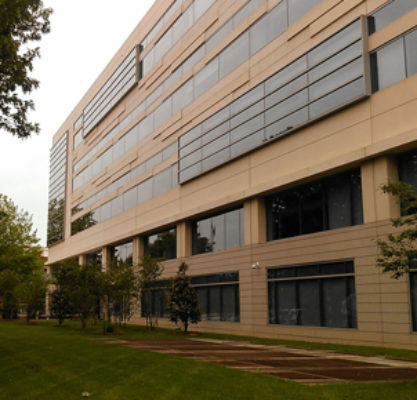 GHT provided the MEP engineering design for the 1812 N Moore Street Conference Center, pictured above, in a separate contract from the main tenants of the building.